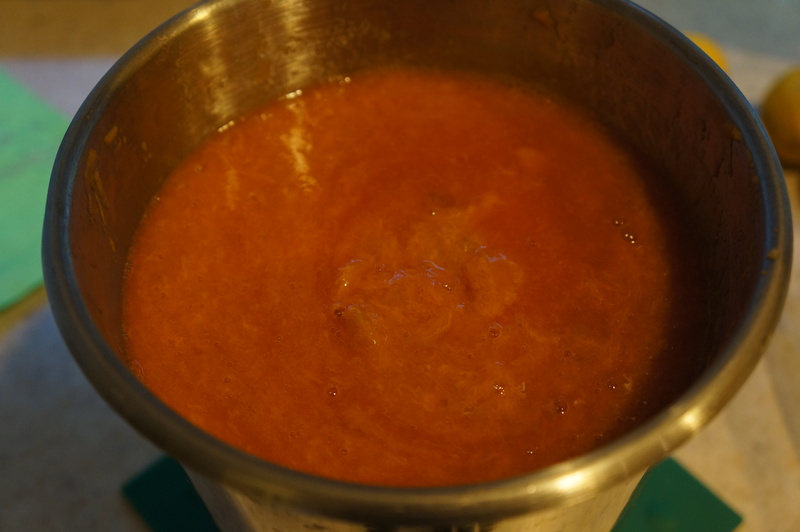 Using the food mill to emulsify the pulp and skins and get most of the liquid out to pick out the seeds. The lovely result! 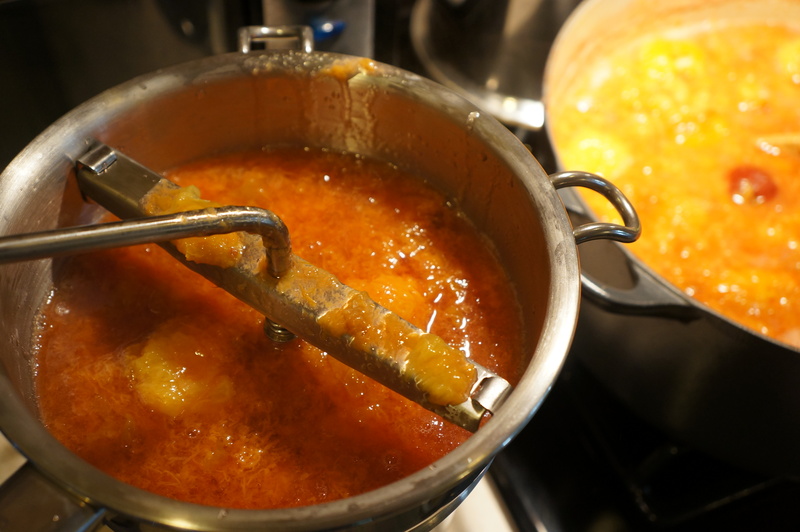 Cooling here and melting together with a jar of honey added for sweetness. Method works with most fruits. What to do with the sauce? Think: Oatmeal, over pancakes, frozen in ice cube containers and made into fruit smoothies. Delicious! 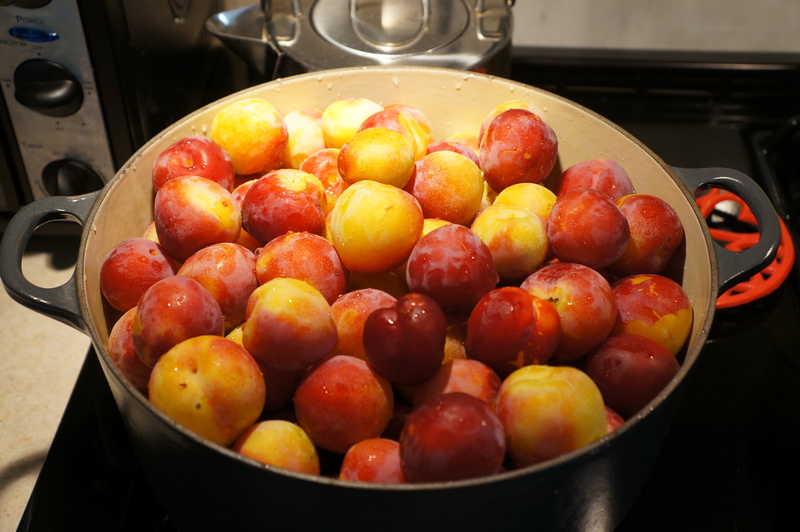 Many thanks to my pa (the suburban farmer) who shared his plum bounty with me!